We explore the FINAL story in the Gospel according to Matthew in this episode. In this episode, we continue exploring the Gospel of Matthew (almost done, folks!). In this episode, we continue exploring the Gospel of Matthew. We continue to explore the Gospel of Matthew in this episode. We continue exploring the Gospel of Matthew! In this episode, we continue to explore the Gospel of Matthew. We keep exploring the Gospel of Matthew in this episode. This week we continue exploring the Gospel according to Matthew. We continue exploring the Gospel of Matthew in this episode. In this episode, we keep exploring the Gospel of Matthew. In this episode, we keep exploring the Gospel according to Matthew. We keep walking through The Gospel of Matthew in this episode. In this episode, we are going to keep exploring the Gospel of Matthew. We continue exploring the Gospel according to Matthew in this episode. In this episode, we continue exploring the Gospel of Matthew. This is going to be our last episode exploring the Sermon on the Mount. In this episode, we are going to continue our series in the Gospel of Matthew. In this episode, we keep going in the Gospel of Matthew, specifically The Sermon on the Mount. In this episode, we are going to keep exploring the Gospel according to Matthew and specifically camping out in The Sermon on the Mount. In this episode, we are going to continue exploring the Gospel according to Matthew. This teaching camps out in Matthew chapter 5 in the section called “Sermon on the Mount”, which is a collection of Jesus’ most famous and important teachings. We are going to be exploring the Sermon on the Mount in Matthew chapters 5-7 for the next several episodes. In this episode, we are going to continue our series exploring the Gospel of Matthew. In this episode, we are going to continue in our series of the Gospel of Matthew. This is the first of a very large series where we walk our way through the entire Gospel of Matthew. This a short series on Corinthians 13, which is known as the love chapter among the Apostle Paul’s letters. In this episode, we take some time to explore the meaning and significance of The Last Supper. In this episode, we explore a number of passages from the book of Isaiah in the Old Testament. This is a stand-alone episode of Jesus’ last words “it is finished”. In this episode, we conclude this five-part series on the book of Daniel. This is the fourth of a five-part series on the book of Daniel. In this episode, we continue to explore the Old Testament book of Daniel. In this episode, we are continuing to explore the Old Testament book of Daniel. In this episode we finish this multi-part series that we have been doing about theLetters to the Hebrews. Book of Hebrews Part 7 - What is Faith? This is one of the last teachings on the letters to the Hebrews in the New Testament. In this teaching we are going to explore Hebrews Chapter 10. This lecture is the fifth of ten part series on the Letters to the Hebrews. This is part four of a series that we’re doing through the New Testament Letter to the Hebrews. Book of Hebrews Part 2 - What does it mean to be Human? Book of Hebrews Part 1 - Are You Listening? This is the last of a ten part series called “I am who I am”. We’re exploring a multifaceted portrayal of God throughout the scripture. This is the ninth part of a ten part series called "I am who I am" about the portrait of God throughout the Bible. This is episode eight of a ten part series called “I am who I am”. The series is about the multifaceted portrait of God throughout the scriptures. This is part seven of a ten part series called "I am who I am" where we’re exploring different facets of the portrait of God throughout the scriptures. This episode is the sixth of a ten part series called “I am who I am”. The series explores the vast portraits of God presented by the scriptures. This is part five of a ten part series called “I am who I am”. We explore the portrait of the spirit in these latter episodes. I am who I am Part 4: Who Can Forgive Sins? This is the fourth of a ten part series that dives into rediscovering God’s character as told in the Bible. This is the third of a ten part series about the character and identity of God. This is the second of a ten part series called I am who I am. We’re exploring the fundamental biblical portrait of God’s character and identity. This is the fifth of a five part series that we’ve been doing on Paul letter to the Ephesians. This is part four of a five part series exploring Paul’s letter to the Ephesians. This is part three part of the series exploring key themes in Paul’s letter to the Ephesians. This is episode two of a five part series we are doing about Paul’s letter to the Ephesians. This episode is the first of a five part series exploring different sections of Paul’s letter to the Ephesians. Paul’s letter to the Ephesians is a masterpiece. This is part four of a four part series that we’ve been doing through the Book of Psalms, learning how to adopt the language of these ancient poems and prayers as teaching us how to pray. This is the third of a four part series about the Book of Pslams. In this teaching we explore Psalm 32. This is part two of a four part series in the Book of Psalms. The Book of Psalms contain a wide diversity of people and their different emotional experiences. This is going to be the first of a four part series on the podcast. These are teachings that I did on the Book of Pslams. The Book of Psalms teaches us how to pray and how to talk to God. This is the third of a four part series where we took some of the most common words in the bible and words that are also at the same time really misunderstood or under-used in our culture. This is part two of a four part series on the language of faith. Resurrection as a Way of Life Part 5: All Things New or All New Things? This is the final (fifth) podcast on the five part series that we’ve been doing on Resurrection as a Way of Life. We’ve been exploring the key role of the hope of new creation and resurrection. This is part four of a five part series called Resurrection as a Way of life. The series explores the ideas of the resurrection and the new creation and what that hope means. These are very crucial features in Jesus's followers world view. This is the third of a five part series on the idea of resurrection and new creation in the teachings of Jesus and the Apostles. This episode is the first of a new 5 part series on the idea of resurrection and new creation in the teachings of Jesus and the Apostles. This is the second of a two-part series that reflects on the portrait of the church in the book of Acts chapter 2. This is the first of two part series that reflects on the portrait of the early church in the book of Acts chapter 2. What can we learn about the nature and mission of the church in our own day? This is the 4th of a four lecture series I did on the concepts of heaven and hell in the Bible. This is the third of a four-part series that I did several years ago about heaven and hell. In this episode, we talk about Jesus’s return. This is the first of a 4 part series on Heaven and Hell. There are a lot of misconceptions about heaven and hell in media and popular culture. You might be surprised to learn that in the Bible, the opposite of heaven is not hell… it’s earth! This is the third of a three part series about important spiritual practices that have marked the lives of followers of Jesus throughout history and in all different traditions of the church. This is the second of a three part series about important spiritual practices that have marked the lives of followers of Jesus throughout history and in all different traditions of the church. This is the first of a three part series about important spiritual practices that have marked the lives of followers of Jesus throughout history and in all different traditions of the church. This is episode six of a six part series. Several years ago when I was a pastor at Door of Hope church we challenged the entire church to read the whole New Testament in 90 days. These teachings were my attempt to guide people through the big ideas and theological themes of the New Testament. This is episode five of a six part series. Several years ago when I was a pastor at Door of Hope church we challenged the entire church to read the whole New Testament in 90 days. These teachings were my attempt to guide people through the big ideas and theological themes of the New Testament. This is episode four of a six part series. Several years ago when I was a pastor at Door of Hope church we challenged the entire church to read the whole New Testament in 90 days. These teachings were my attempt to guide people through the big ideas and theological themes of the New Testament. This is episode three of a six part series. Several years ago when I was a pastor at Door of Hope church we challenged the entire church to read the whole New Testament in 90 days. These teachings were my attempt to guide people through the big ideas and theological themes of the New Testament. This is episode one of a six part series. Several years ago when I was a pastor at Door of Hope church we challenged the entire church to read the whole New Testament in 90 days. These teachings were my attempt to guide people through the big ideas and theological themes of the New Testament. This is the second of a two part series that I did about work and vocation from a Christian perspective. This is the final episode of a three-part series on the Old Testament book of Ecclesiastes, a truly unique book of the Bible. It contains some of most skeptical wisdom in all of the Scriptures, sometimes scandalous and always fascinating. In this book the teachers shows how most of our daily time and energy is spent on things that are totally meaningless, which should motivate humility, integrity, and enjoyment of the simple things in life. This is the second in a series of three episodes on the Old Testament book of Ecclesiastes, a really unique book of the Bible. It contains some of most skeptical wisdom in all of the Scriptures, sometimes scandalous and always fascinating. In this book the teachers shows how most of our daily time and energy is spent on things that are totally meaningless, which should motivate humility, integrity, and enjoyment of the simple things in life. This is the first in a series of three episodes on the Old Testament book of Ecclesiastes. 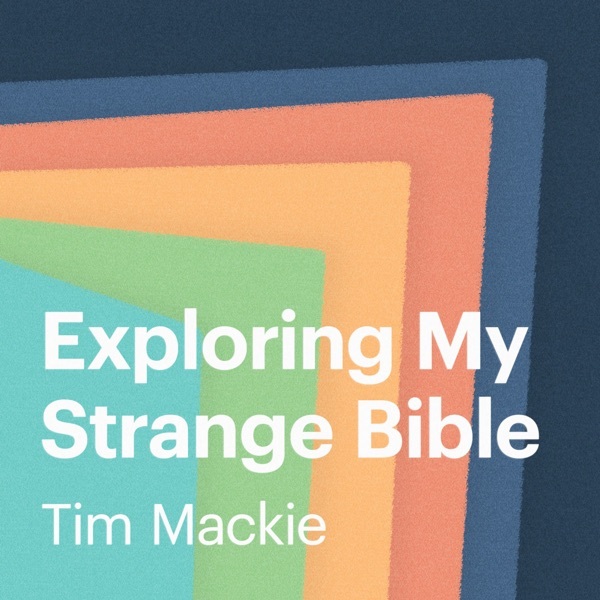 This is a really unique book of the Bible. It contains some of most skeptical wisdom in all of the Scriptures, sometimes scandalous and always fascinating. In this book the teachers shows how most of our daily time and energy is spent on things that are totally meaningless, which should motivate humility, integrity, and enjoyment of the simple things in life. This is the third of a three part series on the making of the Bible, and we'll explore the manuscript history of the New Testament. . If you haven’t listened to the other two episodes, I recommend listening to those first. In this episode we focus on the apparent tension between science and faith. This is the last of a 5 part series in the book of Jonah, and this section is one of the most puzzling parts of the book. We are exploring part 4 and 5 of this teaching, but we are diving into Jonah chapter 3. We are going to continue on in this teaching series exploring Jonah in chapter 2 this week. In this episode we begin chapter 1 in the book of the ancient prophet Jonah. Many of us know the story of Jonah as the one about the guy who got swallowed by a whale. And while that did happen, it’s only a couple sentences of the story!